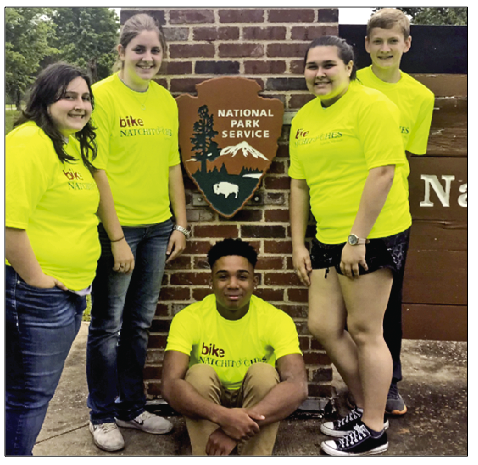 Members of the Lakeview Junior Senior High School National Honor Society volunteered for Bike Natchitoches for their annual ride. The ride started at Oakland Plantation where riders rode 15, 25 or a metric century (about 62 miles). The students helped with registration, encouragement and passed out refreshments as riders returned from their trek. During their down time, the students toured the grounds of the plantation. From left are Gracie Niette, Cadie Coleman, Za’Chary Jackson, Salem Johnson and Blake Smith.